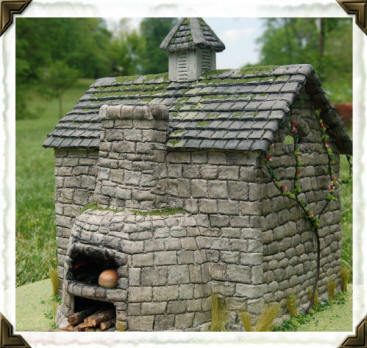 Welcome to my website devoted to my current hobby and obsession, miniatures. Specifically dollhouses. 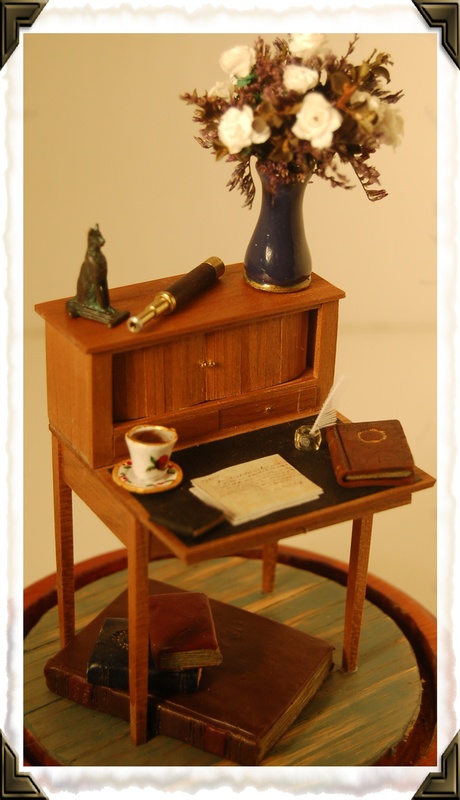 In this site you'll find out why I'm so enthusiastic about miniatures, links to my favorite miniature related sites and photo journals of my dollhouses and projects. My latest dollhouse currently in progress. An exact replica of Barton Cottage from "Sense & Sensibility". I dressed the Martha Washington desk built at this year''s Bishop show and named it Margaret's Desk after Margaret Dashwood. It will eventually end up in Barton Cottage. I've been working on some roomboxes based upon a travel theme. It's fun to go to antique stores and dig around in their basements for old travel cases.